This is a short guide explaining what to do if your spouse files a bankruptcy during a pending family law action. This is specific to North Carolina and should be considered irrelevant to any other state. It is not legal advice and you should consult an attorney if you have questions. Bankruptcy is a tool for the honest, but unfortunate, debtor to obtain relief from his or her creditors. It is not uncommon that financial concerns within a marriage lead to a complete breakdown of the relationship and eventual divorce. By that same token, when one household is split into two, expenses tend to increase and income decreases. Many attorneys who practice bankruptcy and/or family law quickly see that there is a significant overlap between the clientele. This guide is meant to be a brief overview of the issues that may arise if, during a pending divorce, your estranged spouse files a bankruptcy. It is written only in the context of a bankruptcy and family law occurring solely within North Carolina. It is a brief overview and if you gather nothing else from reading it, know that these are complicated matters that are very fact specific. You can use this as an introduction to the subject. You can read this in preparation to meet with your attorney. You should not rely on the information in this guide to argue or prepare a case without an attorney. Everyone’s first concern when they think of bankruptcy is that it will “ruin your credit forever.” This concern is not alleviated when the person who is filing is your estranged spouse. So, let’s talk first about what happens to the credit of the person who files (the Debtor): There are two types of bankruptcy that most people file — Chapter 7 and Chapter 13. A Chapter 7 is a short process, typically lasting less than 6 months. It involves a total forgiveness (discharge) of most debts (credit cards, personal loans, the personal obligation on a house and/or car, judgment debts, etc.) with some exceptions (student loans, some taxes, debts incurred by fraud). I always tell my clients that it’s the cheapest, easiest way to go. A person can file no matter how little debt they owe, but they have to have an income that permits them to pass the means test. Typically, their income must be below the median income for their family size in their state. A Chapter 13 is the “wage-earners” plan and typically lasts for 3-5 years. A Chapter 13 allows some additional benefits but also requires that some debts be repaid. A Chapter 13 is a great option for people whose income decreased, they got into some financial trouble, and now their income has increased again. A Chapter 7 is reported on the credit of the person who files for 10 years. A Chapter 13 is reported for 7 years (typically — it could be reported for 10, but it is not usually). Both types of bankruptcy have the greatest impact on a credit score immediately after they are filed. The damage to a credit score decreases over time and a study by the Wharton school showed that credit scores increased an average of just over 100 points within 6 months after a bankruptcy discharge. I typically find that a client’s credit score is approximately 700 a year after discharge, but that varies based on the other steps taken to rebuild credit. Overall, filing bankruptcy may be the fastest way to repair credit, as contrary as that may sound. 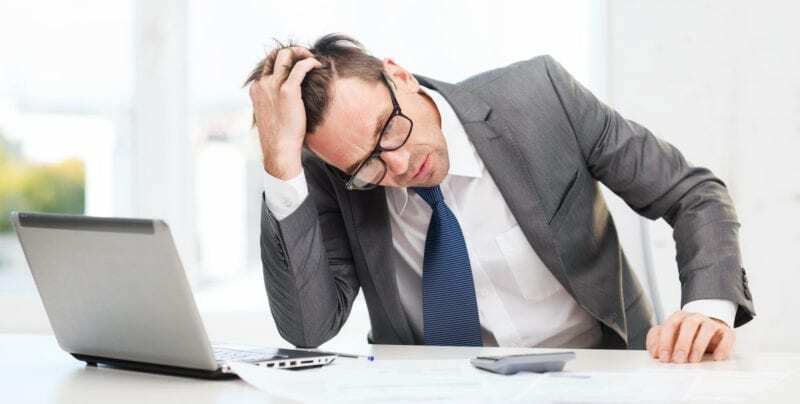 For each debt that is discharged in the bankruptcy, the creditor may report a $0.00 balance owed and “Included in Bankruptcy” or similar language. The person who filed and received a discharge no longer owes the debt to the creditor and the creditor cannot indicate otherwise in any way. Now, what about your credit? Your ex has filed a bankruptcy and how will that impact you? That depends. For debts that ONLY your ex owed, there should be nothing reported on your credit. For debts that only you owe, those debts are not included in your ex-spouse’s bankruptcy and nothing should change on your credit report regarding them. For debts that you BOTH owe, your spouse’s obligation to the creditor to pay those debts is discharged. Your obligation remains. If you remain current on the debts, the biggest impact may be that the creditor enters a trade line that says “co-debtor filed bankruptcy.” Such a trade line should not impact your score, but if it does, any impact will be negligible. So, in short, it shouldn’t really impact your credit score if your ex-spouse files and you do not. The bankruptcy code uses the term “Domestic Support Obligation” to describe Child Support and/or Alimony. (The full, editorialized, definitions at the end of this section.) Whether a debt is a support obligation or part of a property settlement is a question of bankruptcy law, not state law. Basically, what the state court called it is not what the bankruptcy court has to decide that it is. When the bankruptcy code was rewritten in 2005, one of the provisions was to permit income that would otherwise belong to the bankruptcy to be used for payment of a DSO. Basically, garnishments of income for a DSO can still happen after a bankruptcy is filed without further action needed. Additionally, debts owed for a DSO when the bankruptcy is filed are of the highest priority and will be paid before any other debts. Additionally, if a DSO isn’t paid during a bankruptcy, the person who filed may have their bankruptcy rejected. The automatic stay that otherwise protects the Debtor from debt collection actions does NOT apply o enforcing DSOs. It does, however, apply to civil contempt proceedings for failure to pay a DSO. That includes stopping the creation, enforcement or perfection of a lien, proceedings to garnish a bank account to collect pre-petition DSOs or the issuance of a writ of execution. As soon as a person files a bankruptcy, all of his personal property (and property that “community property” — that is, co-owned with a spouse), becomes part of the bankruptcy estate. That means that any action for equitable distribution is stayed. At the same time, it is common that the bankruptcy court will grant relief from the stay to permit the state court to determine the extent of the debtor’s and the (soon to be ex) spouse’s interest in marital property. 5 Divorce & Child Custody The bankruptcy reform passed in 2005 (Called BAPCPA — the Bankruptcy Abuse Prevention and Consumer Protection Act), made the automatic stay NOT apply to civil actions for child custody (either a first time filing or a modification), divorce, or domestic violence. 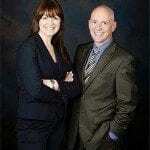 Articles are written by McIlveen Family Law Firm. These include articles by attorneys and other professionals. The articles are for information purposes only. &check; Awards: 10/10 Superb AVVO Rating, Super Lawyers, 10 Best and more!